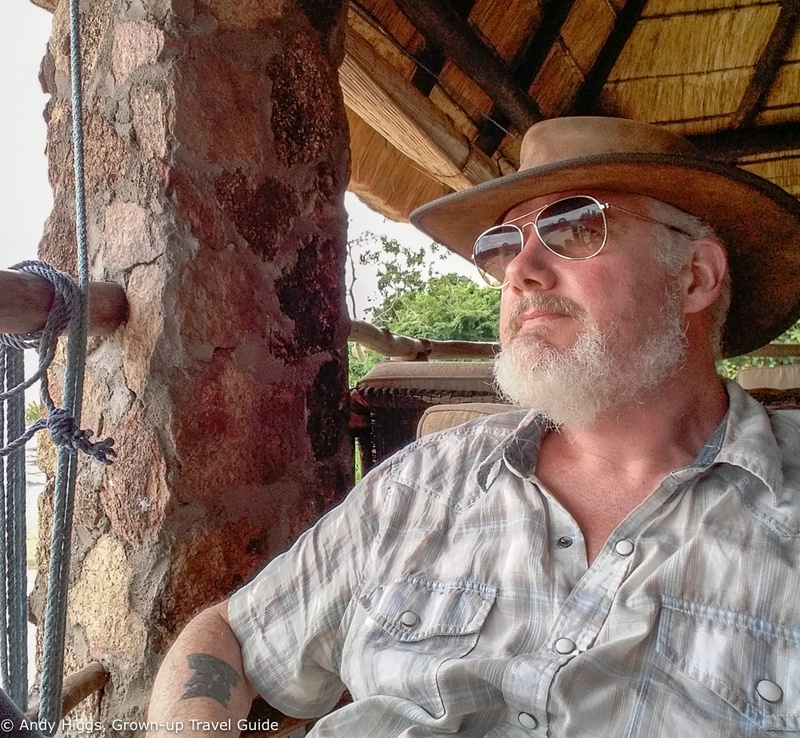 Posted on December 30, 2018 by Andy Higgs in Africa, Features, Home, Malawi, Places. Earlier this year I organized what could be described as the “working trip of a lifetime”. 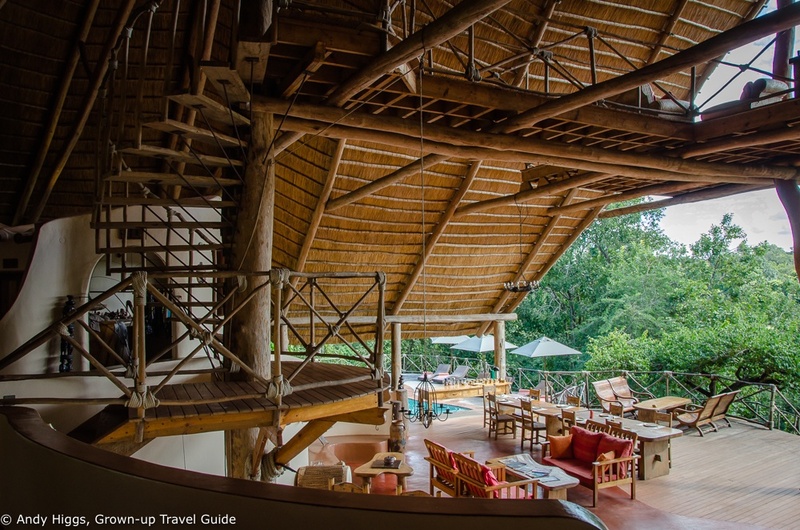 Stay with me here – basically I managed to turn three separate business trips to Africa into an entire month spent on the world’s most exciting continent, which is quite a result as I am sure you will agree. First I was due to visit WTM Africa in Cape Town, South Africa as a hosted buyer for my new baby, The Grown-up Travel Company. 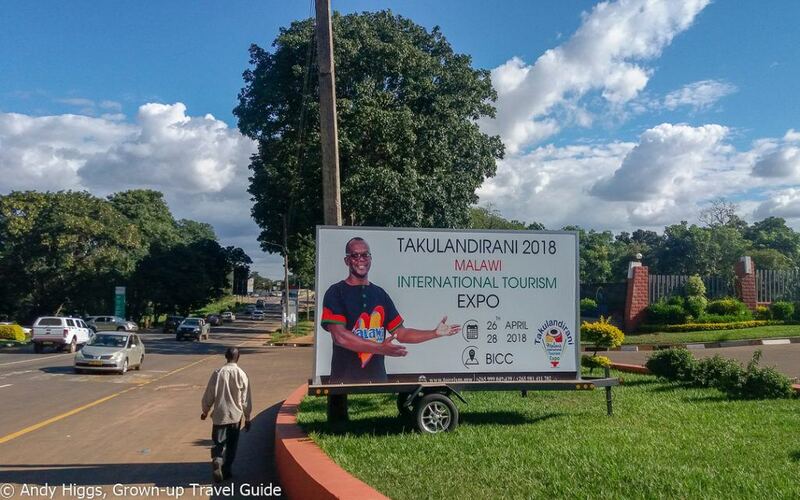 Next would be INDABA, a similar Afrocentric trade show in Durban about three weeks later but the icing on the cake was an invitation to attent the Malawi International Trade Expo (MITE for short) a relatively new but growing fair in Lilongwe. With a bit of coordination and help from the respective organizers I arranged flights between all three instead of returning to Norway after each and then flying back again, saving everyone money and helping the climate a bit, too. 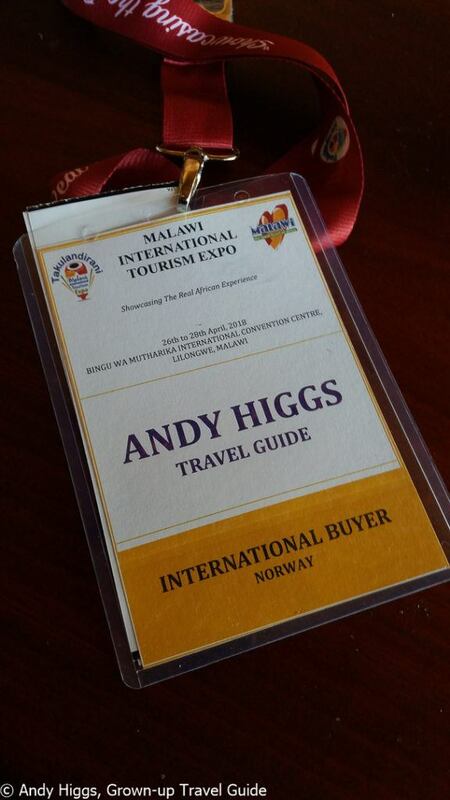 Readers will know that I visit WTM Africa and INDABA every year but may not be aware that I had never been to Malawi or that it was in fact at the top of my Africa wish-list. I even managed to squeeze in four nights in Zambia, another new country for me, after Malawi and before Durban. Nice! 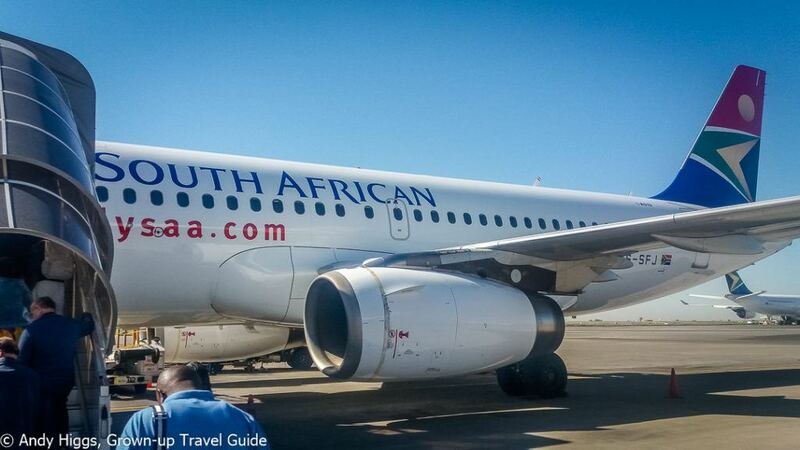 So that explains the why and the how that led me to be flying in to Lilongwe from Johannesburg (I broke the trip from Cape Town with a night in Jozi) on April 25 this year. Malawi is marketed as the “warm heart of Africa” and for once, the slogan is spot-on. Full marks for whoever came up with that, they nailed it. 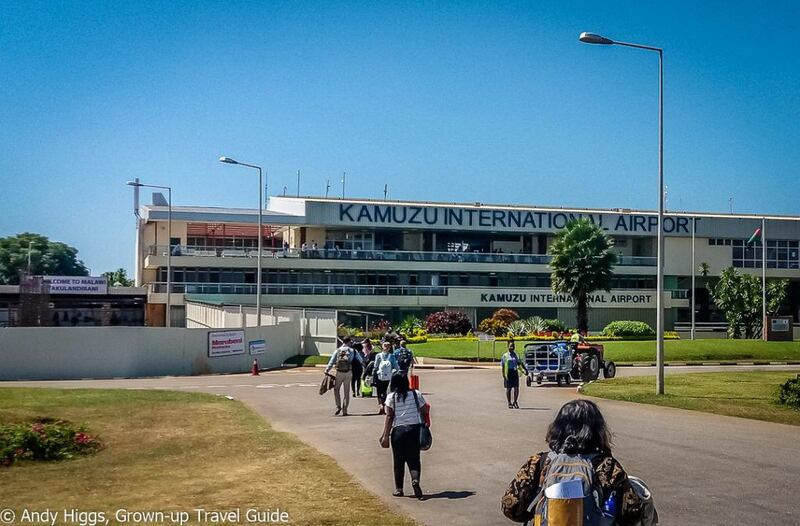 This becomes apparent from the moment you arrive in the country, which in my case meant upon landing at Kamuzu International Airport and going through the visa on arrival process. No stern immigration officers here, the only bad attitudes present were from my fellow passengers complaining about the 20-minute wait to get through. Ironically these were Americans, and the temptation to ask them how long they thought Malawians waiting to enter the US had to wait was strong, but I resisted. After getting my passport stamped (a single-entry visa for Malawi generally costs USD 75 and if paying on arrival make sure you bring cash and preferably the exact amount) I was met by representatives from the tourist board and we were driven by minibus to our hotel for the next four nights on the outskirts of Lilongwe. 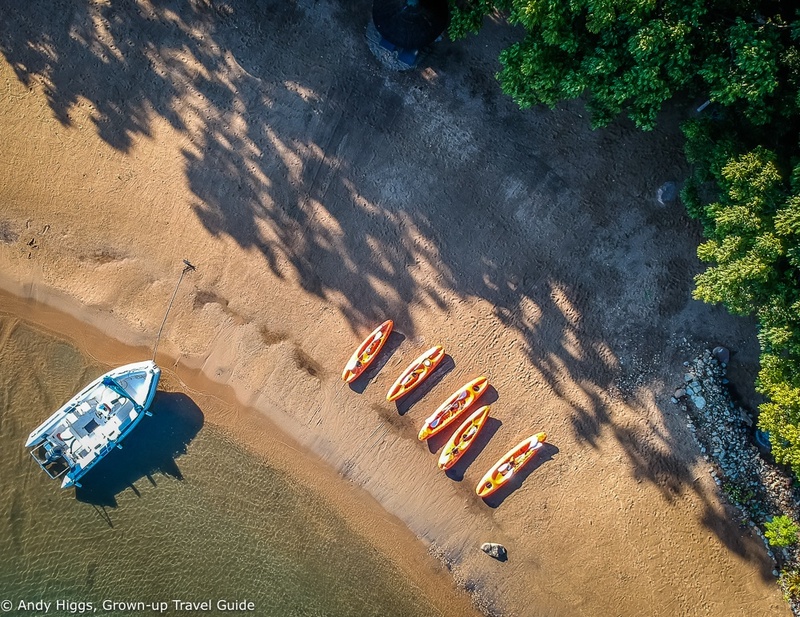 The first few days of my stay in the country were taken up by attending MITE, which was a roaring success and I made many new contacts with whom I will be working to create some amazing Malawi itineraries for The Grown-up Travel Company. Together with a group of other travel agents from Europe and the USA, we were also treated to some sightseeing and hotel inspections in Lilongwe as well as a four night trip around the country to experience more of what is on offer in the warm heart of Africa (quotations marks no longer required). 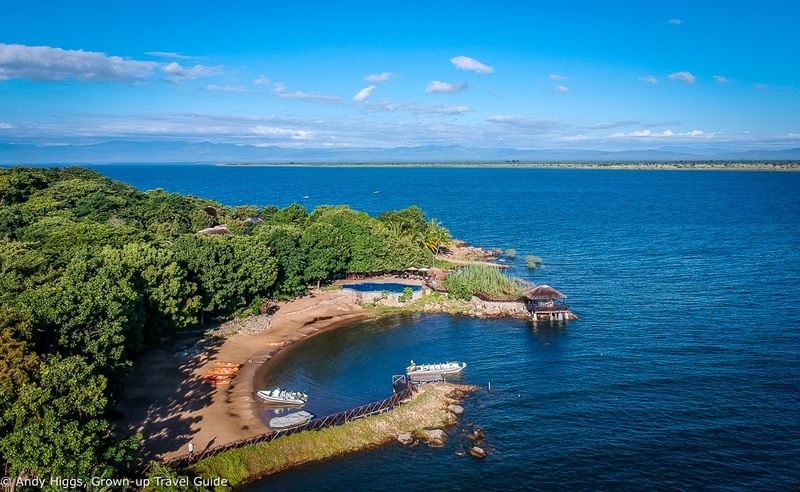 The usual extensive, detailed and quite possibly over-long reviews of all accommodation that you all know and love will be provided in separate articles; what follows is a general account of my time in Malawi, what I got up to and why you should be making plans to visit. Lilongwe itself is a bit of an oddity. It is very spread out and has two distinct parts – Old Town and Capital City. These are very different but neither has many “sights” as compared to other, older African capital cities. Capital City is actually quite surreal; a planned area hailing from the Banda era comprising offices, banks and supermarkets and utterly devoid of life after dark. Old Town is more like Africa as we expect it – busy and somewhat chaotic with a lively market and bus station. 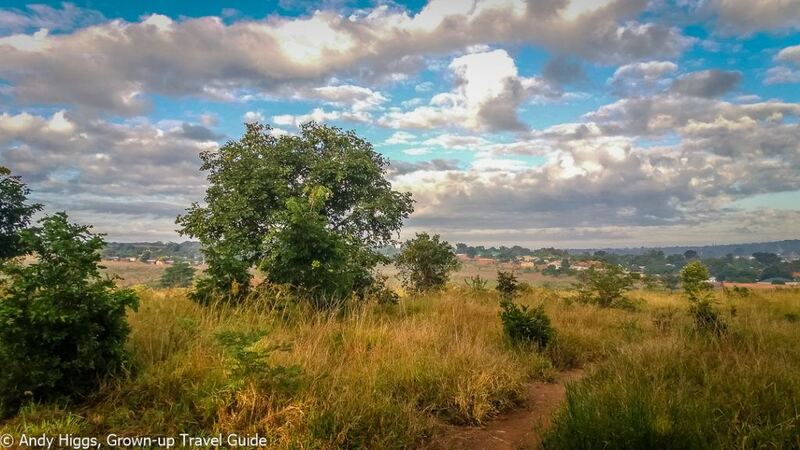 But Lilongwe is supremely laid-back and easy-going, and is thus a good reflection on Malawi in general and its welcoming people. And if you know where to look, there are plenty of nightlife hotspots, local bars and great places to eat. Just don’t expect to walk from one spot to another as they may be scattered far and wide – this is a city where you will quickly become reliant on taxis, which are cheap and plentiful. Naturally my first move was to get acquainted with the local beer. 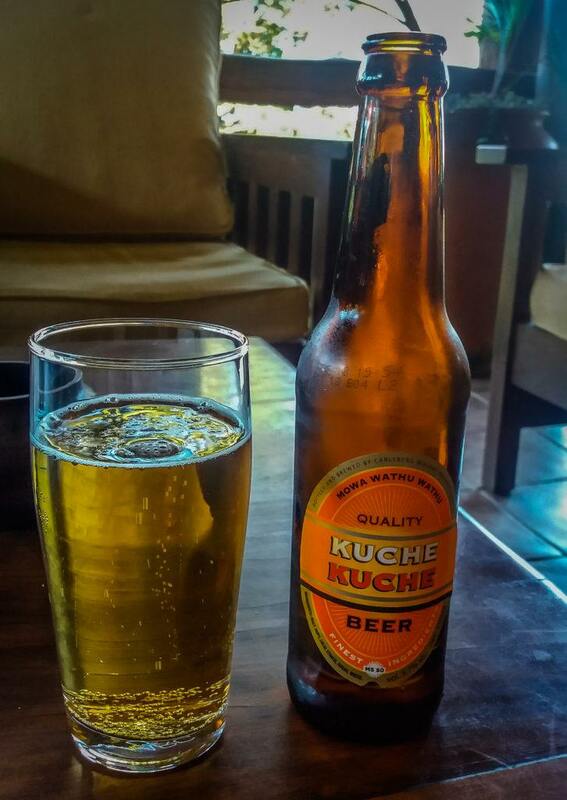 My first “Kuche Kuche” of, er, several I enjoyed in Malawi. As you can see, the lodge feels far removed from a city hotel. I took the opportunity to wake up early and go for a run a couple of times, which gave me a chance to explore the surrounding area, do some exercise and sweat about three gallons before breakfast. It struck me that the countryside here is actually more like the UK than deepest Africa, although the climate is off course somewhat better. 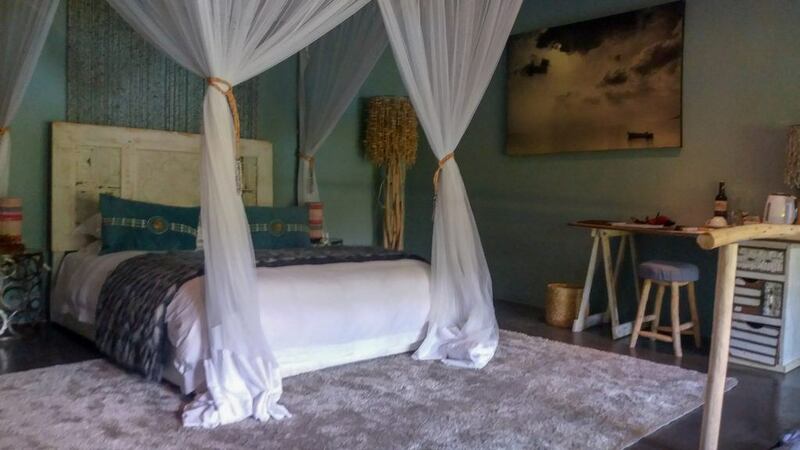 You’ll find a full review of Kumbali Country Lodge on the blog in the very near future, but let’s just say I loved it and look forward to coming back and sending clients here. 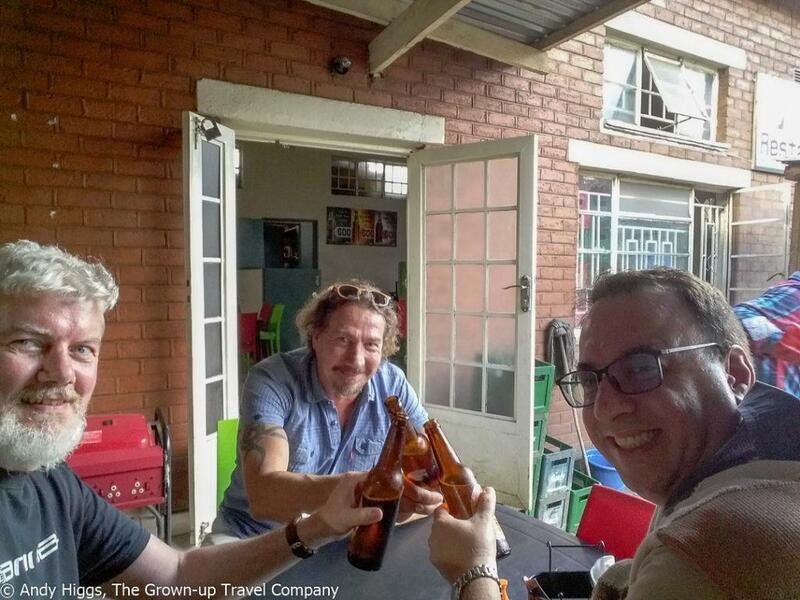 We visited a couple of other hotels in Lilongwe to have a nose around and eat lunch during the trade fair. 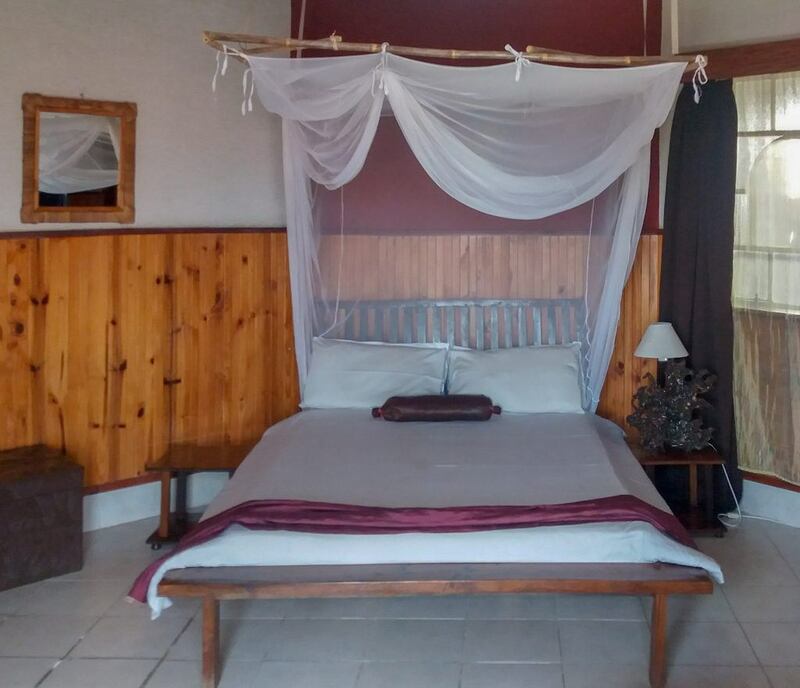 This was a good opportunity to see the range of accommodation on offer in the Malawian capital and while I obviously cannot review places I have not stayed at I thought I would share some photos to give you a general idea. 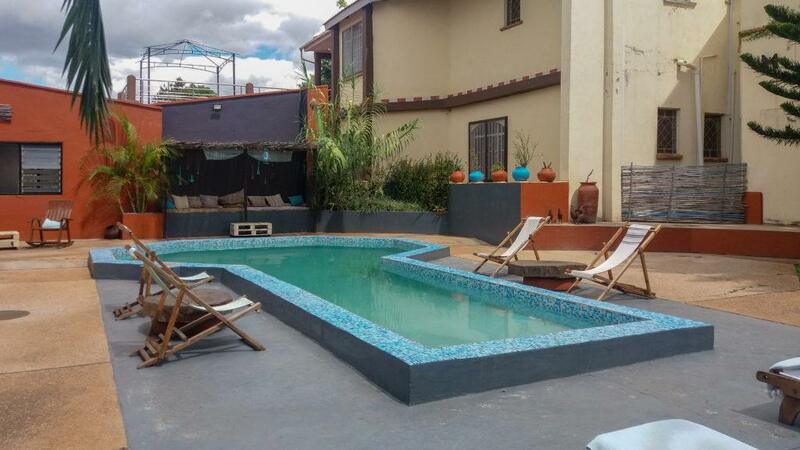 This is an excellent value, independent and quirky small hotel which is popular with Malawian business travellers and tourists alike. The buffet lunch we enjoyed was excellent, service was very friendly and the rooms, pool and other areas we visited are inviting. Madidi Lodge also has a gym and even a spa, which was a nice surprise. Far higher up the price range but justifying its position with style and luxury is Latitude 13°. 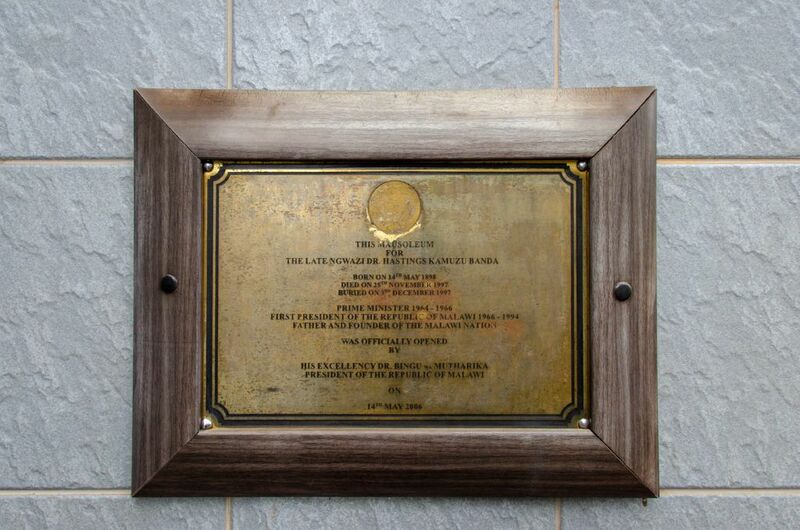 This is definitely not the kind of hotel property I was expecting to find in the capital of one of the poorest countries in the world and is a bold and welcome statement of faith in Malawi and its ability to attract visitors. We had a good look around and a delicious lunch, both of which left me wanting to come back and stay so that I can carry out a full review. Even if you don’t stay here, it is well worth visiting for a drink in the beautiful bar or a bite to eat by the pool. Indeed the restaurant has a well-deserved reputation and is very popular in the evenings. 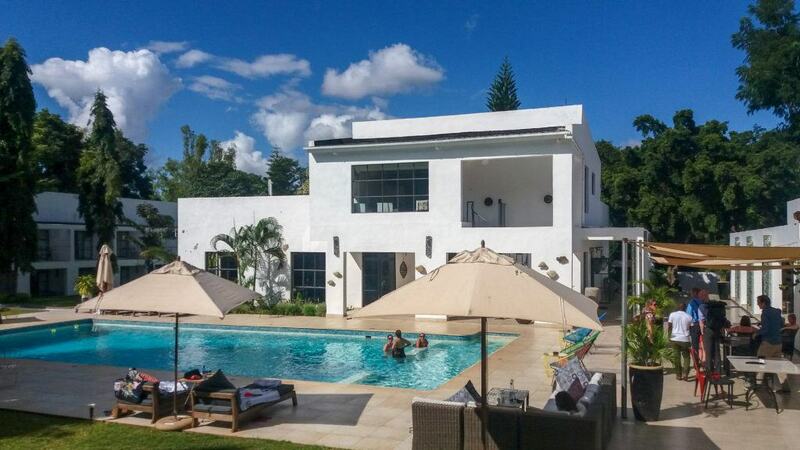 With a quiet location in an upmarket residential area, Latitude 13° is another fine hotel option in Lilongwe. 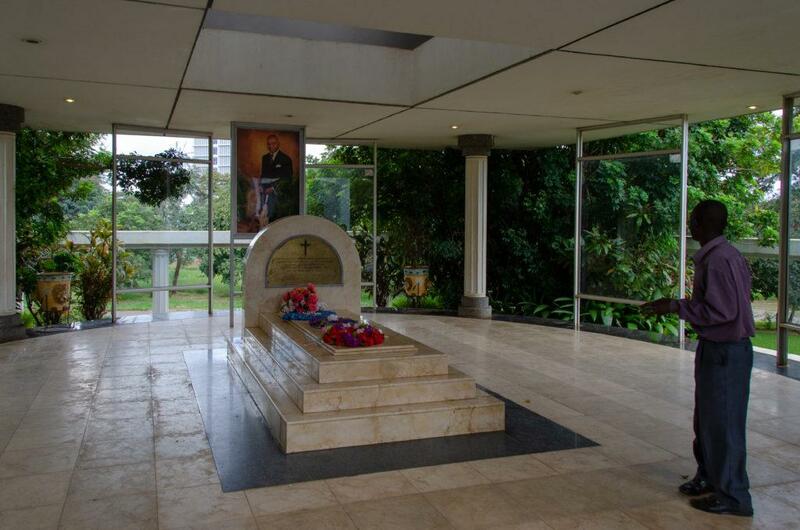 Malawi’s “President For Life” Hastings Kamazu Banda is honoured in the capital and visitors to Lilongwe should definitely take the brief but interesting guided tour of the mausoleum. He will always remain a controversial figure – perhaps more to outsiders than to Malawians, many of whom now seem able to forgive his autocracy and the darker aspects of his 28 years as head of state and focus instead on his achievements. Three of us managed to persuade our city tour guide to take us to a genuine locals’ bar while the rest of the group shopped for souvenirs at the crafts market. 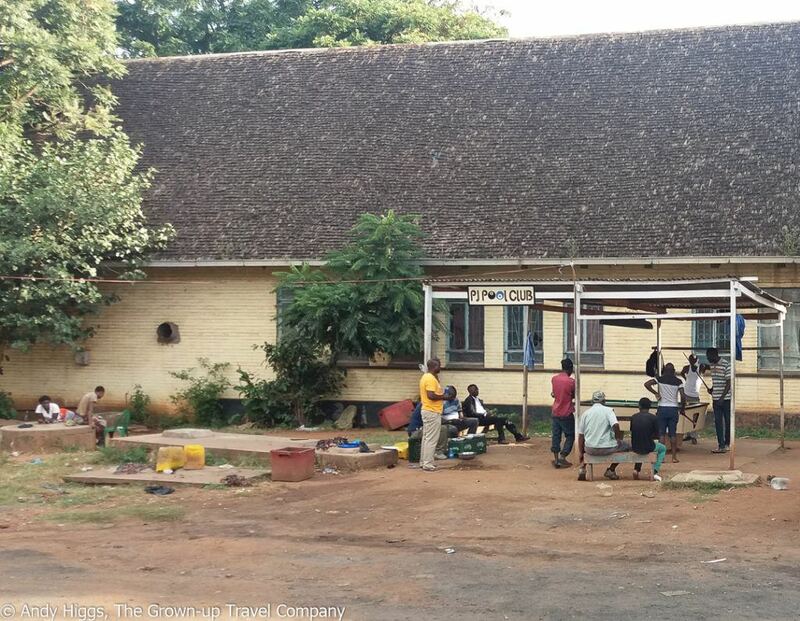 There are of course plenty of these kind of places in Lilongwe but you will need to seek them out or ask for advice. And believe me, it is worth it. 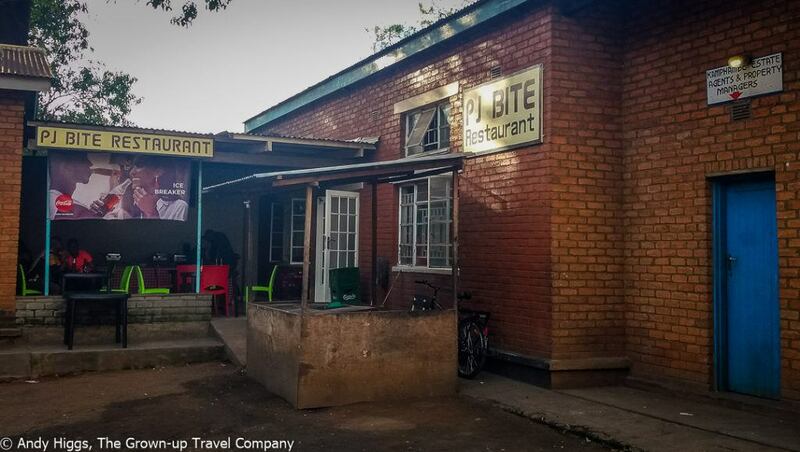 Far from the tourist trail is where you experience real life and after their initial surprise at the three big white guys turning up for a beer or two, the folks at PJ Bite welcomed us with open arms, as had now become the norm in Malawi. 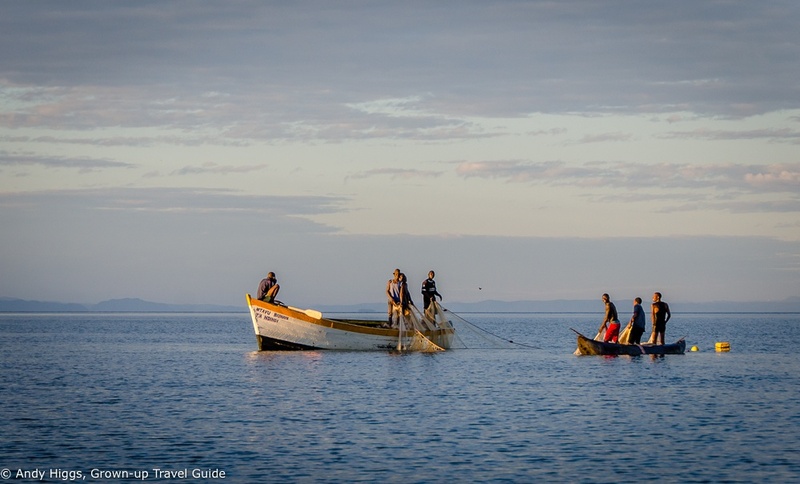 Lake Malawi is the absolute jewel in the Malawian crown, and the country’s number one tourist attraction, with very good reason. 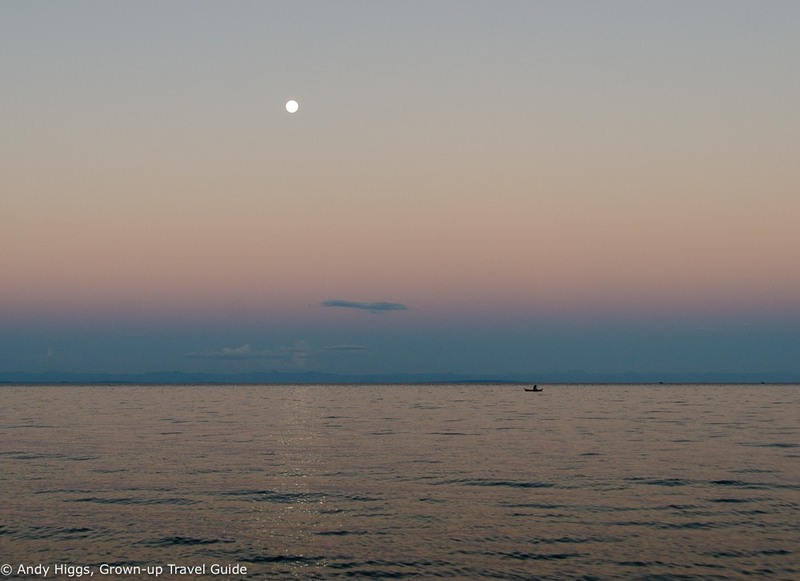 We visited two properties on the lake and managed to squeeze in a couple of activities on the water during our all-too-brief whistle-stop tour. 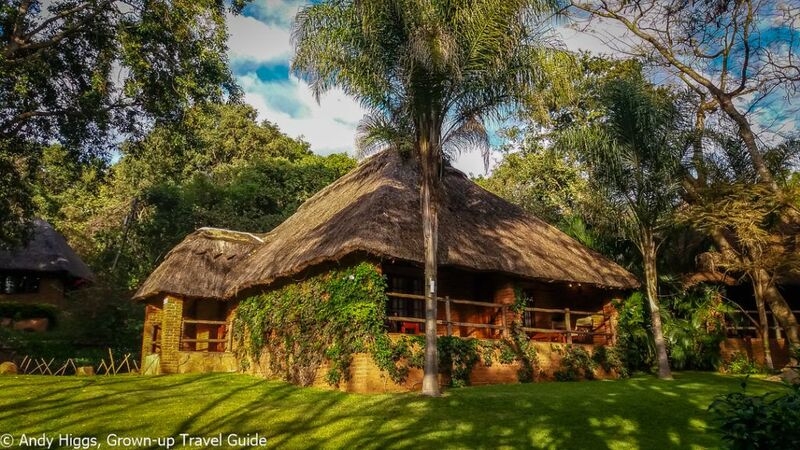 The name of this place ought to sound familar – and yes, it is the sister property of the Kumbali Country Lodge in Lilongwe. Owned and run by the same family, Kumbali Lake Retreat is a more rustic and even more relaxed proposition altogether. With a secluded location and its own beach, Kumbali Lake Retreat is nevertheless very much a part of the local village just a few hundred yards away. I’ll tell you more in my upcoming article but for now, let’s just say that any place with this kind of view from the outside toilet is going to win favour with this traveller. It’s easy to spend hours just relaxing in the bar/restaurant area watching the waves lap against the sandy beach, but you’d be a fool to stay here without taking a sunset cruise to watch the crew feed the fish eagles. Our guy blew his whistle to alert the eagles to the fact that dinner was about to be served. This beautiful specimen left his spot on the cliffside and approached the boat. 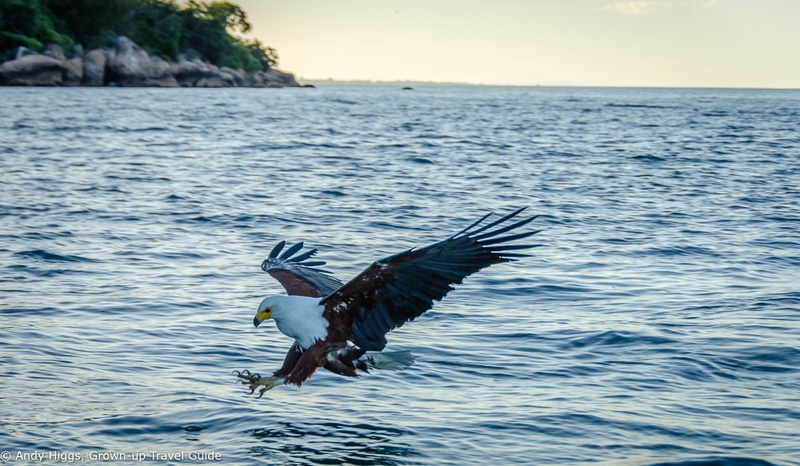 A fish was thrown into the water and quick as a flash, the eagle swept down and picked it up. 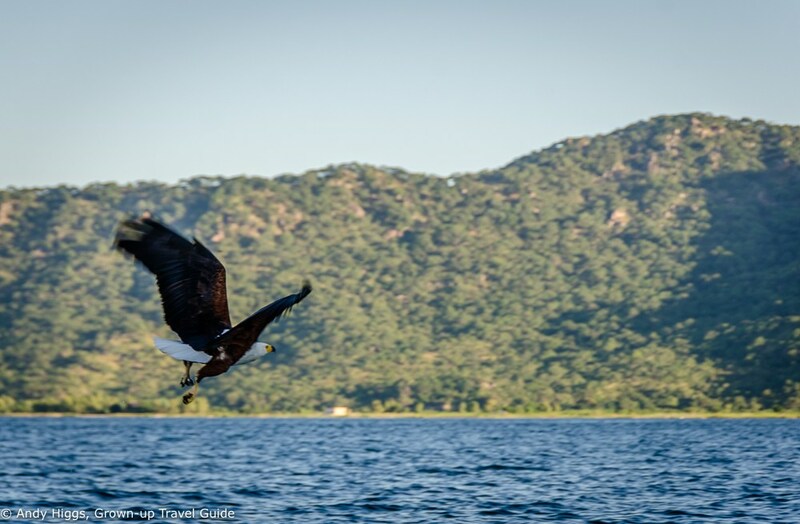 After the exertion of watching fish eagles catching fish, we were more than ready for sundowners on Lake Malawi. 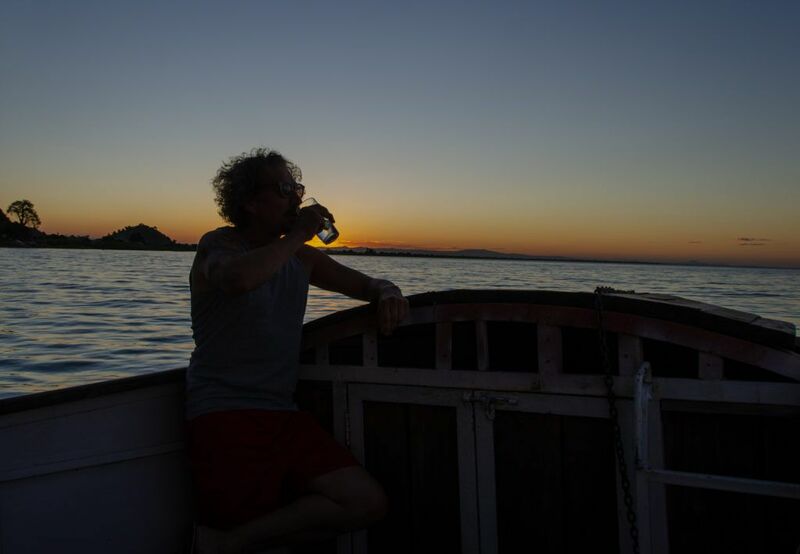 My buddy Tero enjoys an ice-cold Gin and Tonic as the sun sets over Lake Malawi. Tough life, huh? After a good night’s sleep it was time to move on. 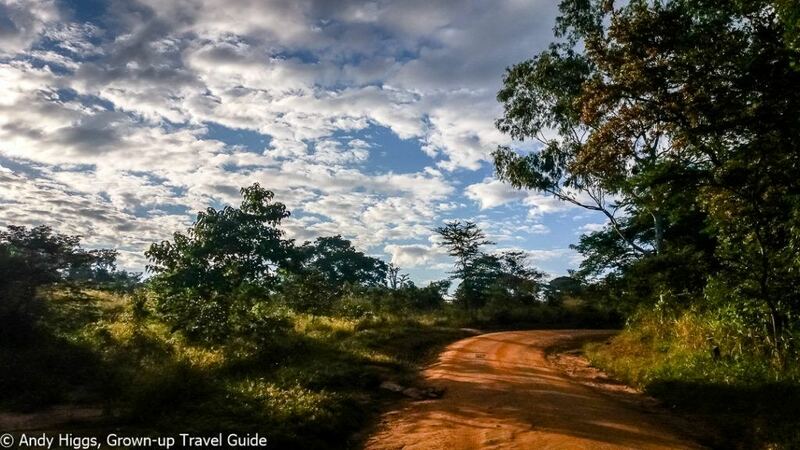 Just travelling from one place to another is a joy in Malawi – I enjoyed the time we spent on the road almost as much as the time spent in our destinations. There is just something about being on the road in Africa – and watching real life play out as you pass. I don’t believe for a minute that a mere video can capture this feeling, but it will give you some idea – which is better than nothing. 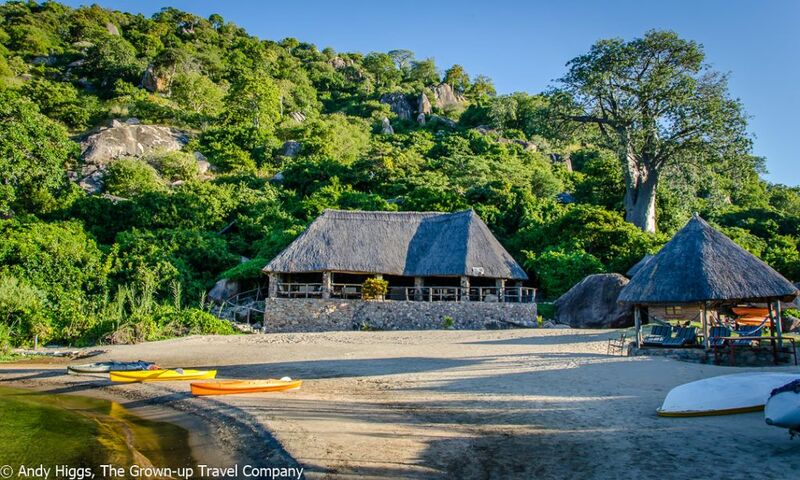 Our next stop on Lake Malawi was this amazing place. 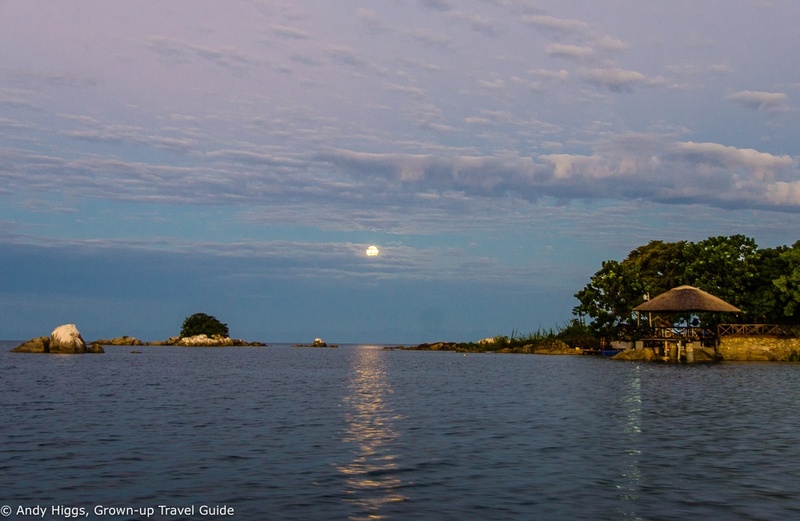 Not just a lodge, nor a resort, but an entire island in a nature reserve! Again, you will need to come back and read the full report but you can see how stunning the property is from these drone and regular shots. Here too a list of activities are available, from kayaking to walking the island, boat trips, sunset cruises and so on. We only had time for a speedboat trip before sundown on our visit (and a quick dip in the pool before breakfast) and it was NOT easy to leave after not even a full 24 hours at Blue Zebra Island Lodge. I mean, who would want to leave this place so soon, right? After returning to the mainland we headed north by road to our final port of call before returning to the capital. Once again it was a colourful, relaxing and fun journey. The bicycle taxi (complete with registration plate!) 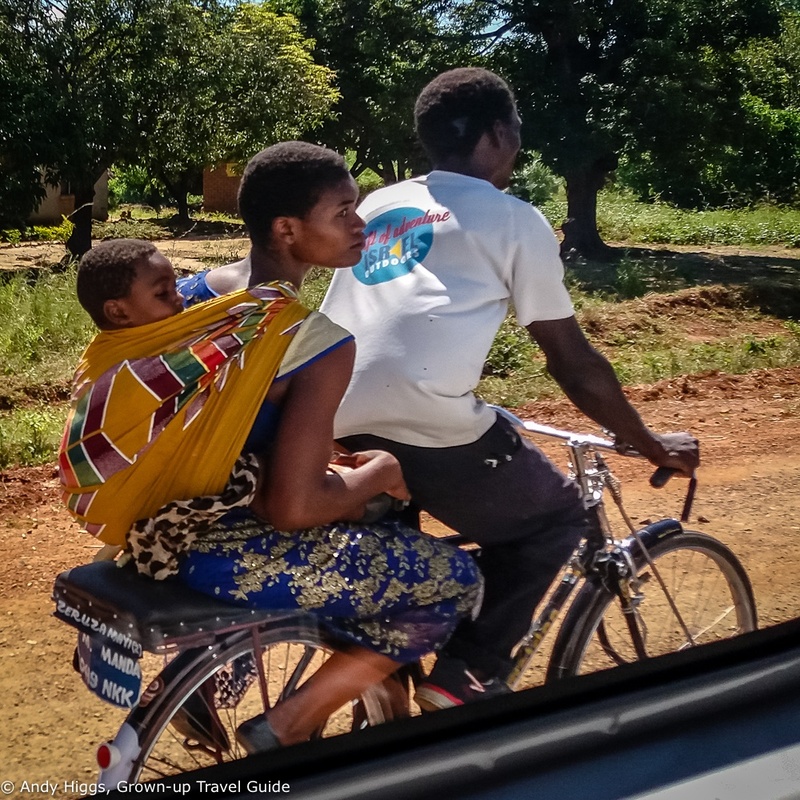 is a staple fixture of rural Malawi and an environmentally-friendly, efficient method of transport. Yes, a telephone box! 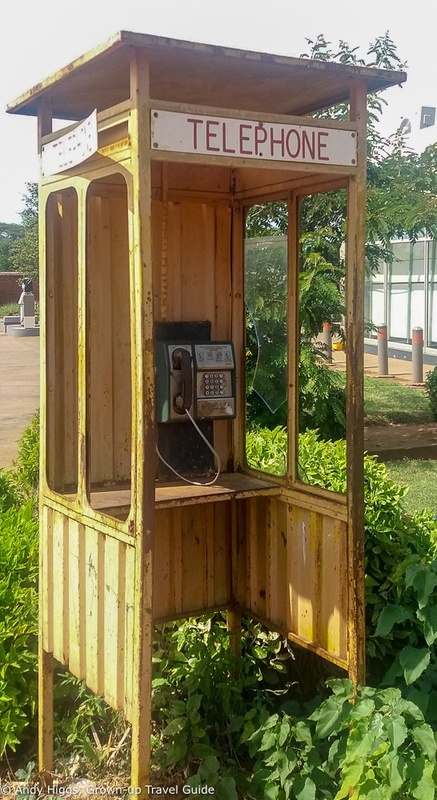 I am not 100% convinced that it was working, but it was a nice bit of nostalgia for those of us old enough to remember the payphone era. Malawi is not just about the Lake. 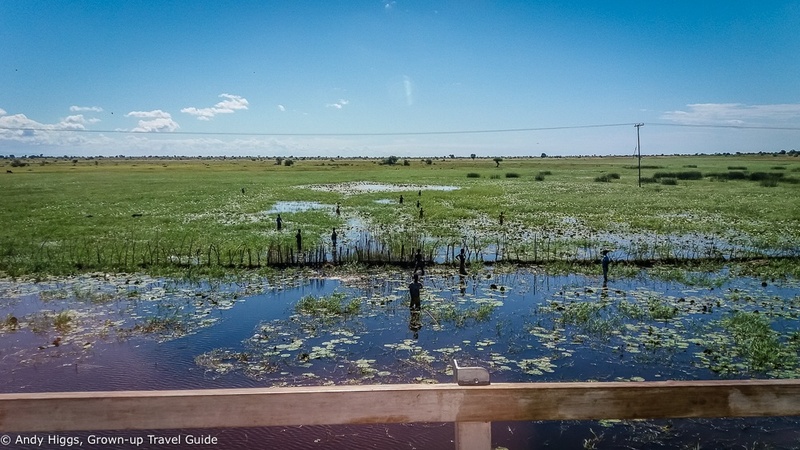 There are also a number of national parks which, under the careful management of non-profit conservation group African Parks, are once again beginning to thrive following the re-introduction of wildlife. 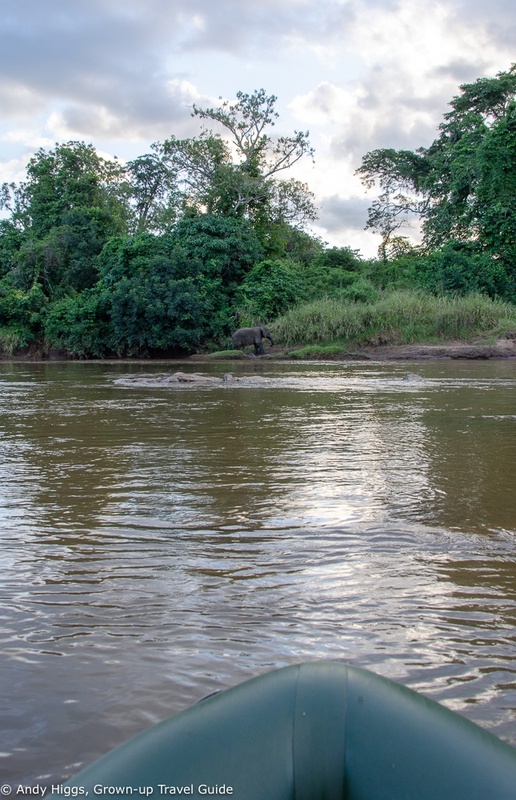 Poaching devastated animal stocks in the past but now numbers are rapidly increasing and Malawi can already boast of the “Big Five” in one of its parks, Majete. More will soon reach this status but even now there is plenty to attract safari-goers, the smartest of which are not fixated on only ticking off five species anyway. 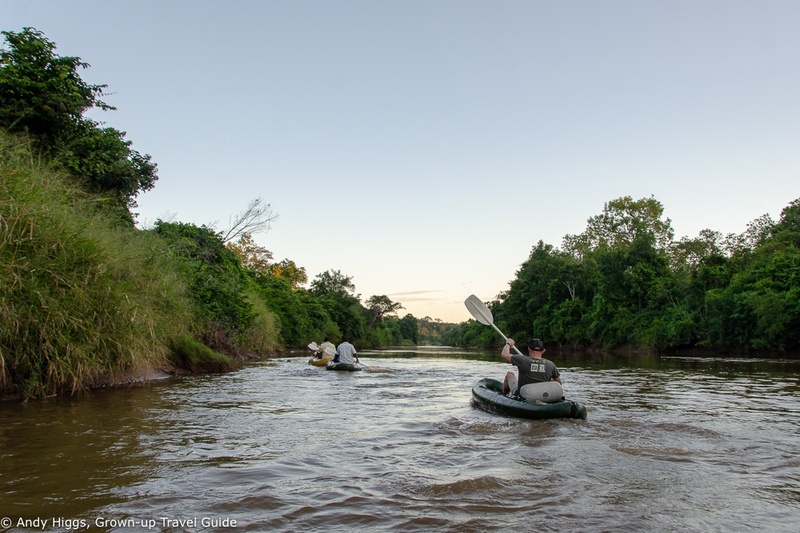 Nkhotokota National Park is a slightly different proposition – a wild, secluded park whose biggest draw to date has been as a “wilderness” destination – a place to really disconnect and get away from it all. Yet here too wildlife numbers are growing rapidly following a relocation programme and after a long transition period, over 500 elephant will be released into the park from the sanctuary in which they have been living and adapting to their new locale. This is expected to take place in 2019 and when it does, it will be a game-changer. 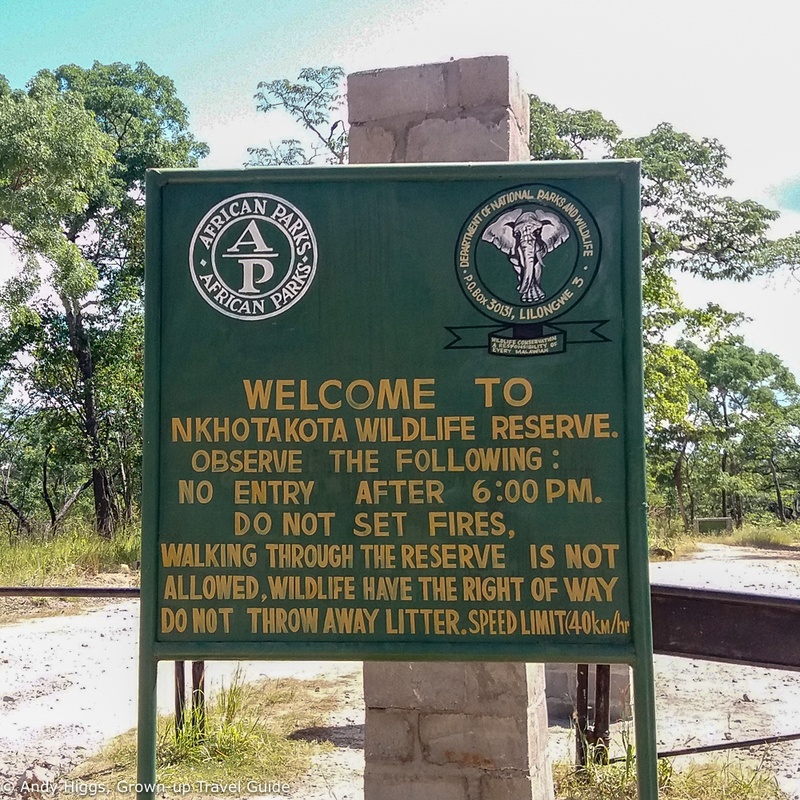 The reason I say this is that Nkhotokota National Park has hardly any vehicle paths and so it will be an amazing, “old-school” safari experience which I for one cannot wait to enjoy. This place is just incredible – and a full review is required and on the way. 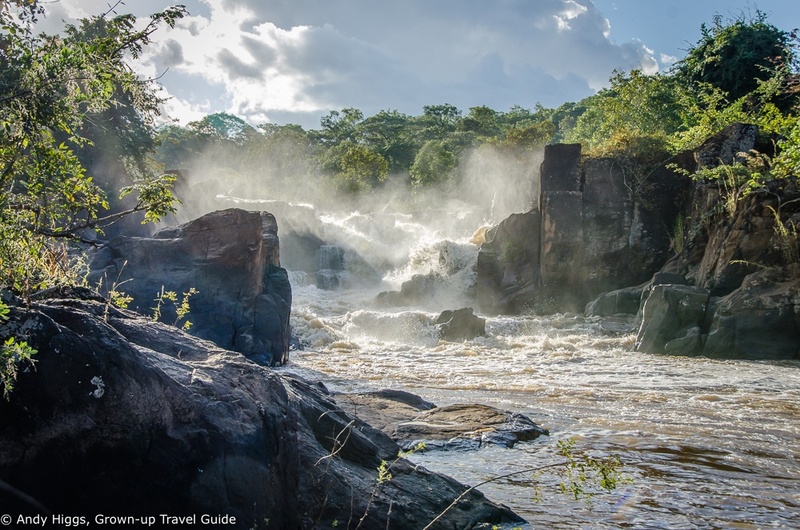 The main activities here are based on the river that flows past the lodge but you can also visit the nearby waterfall, which is well worth the walk. 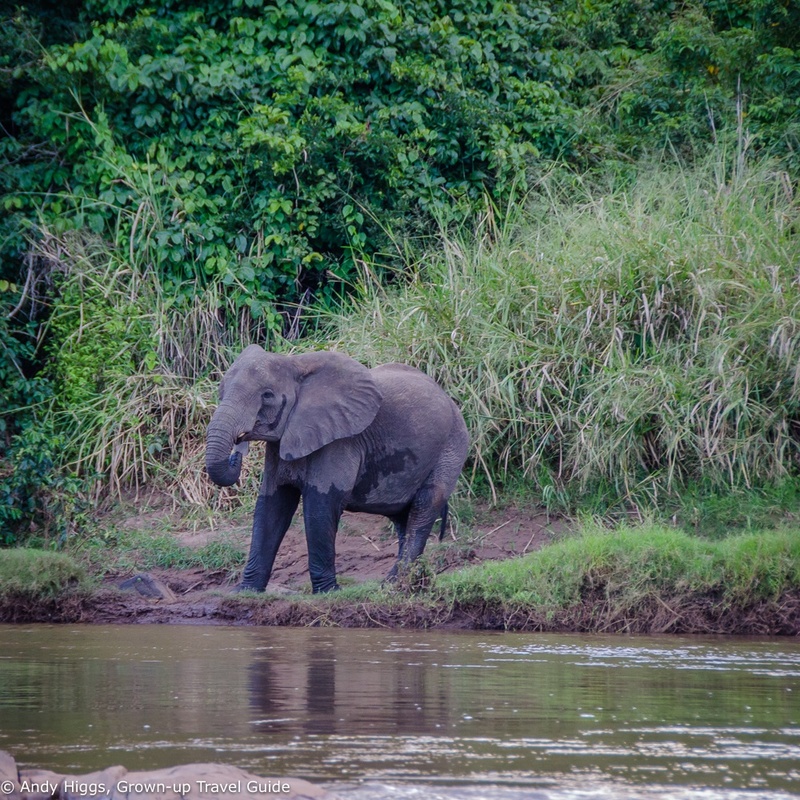 We were lucky enough to spot one of the “original” elephant population (of about 100) as we set out on a canoeing trip from Tongole Wilderness Lodge. Some, like Jonas here, prefer to paddle, while others (myself included) took the easy way out and put our feet up while our guide did the work. We were back for dinner under the stars and enjoyed our last night in the bush before driving back to Lilongwe the next morning. Malawi, you were magical! 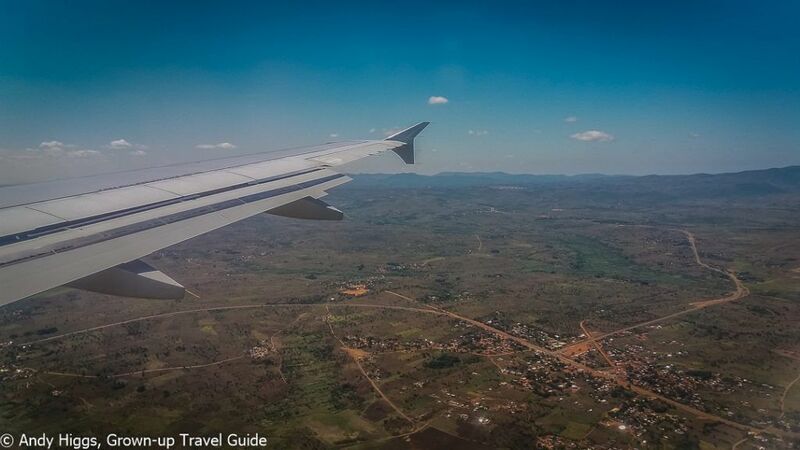 I have already put together some itineraries for 2019 and will be accompanying at least one tour to Malawi myself – and boy am I looking forward to getting back there. 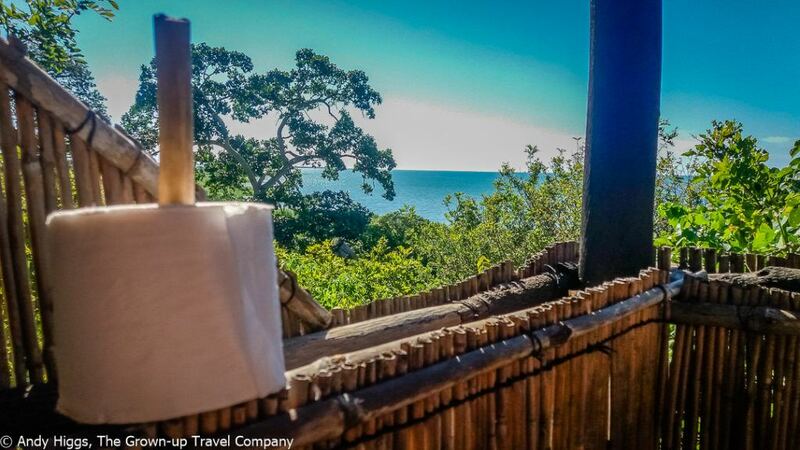 If you are interested in experiencing the warm heart of Africa for yourself, go to The Grown-up Travel Company website and sign up for our email updates so YOU can be the first to know the full details.